Bursts of gunfire are erupting in the area around Cairo’s Tahrir Square as pro- and anti-government protesters continue to defy an Egyptian government curfew. News reports cite witnesses saying at least three people have been killed in the latest violence early Thursday morning. On Wednesday, supporters of Egyptian President Hosni Mubarak charged into the square on horseback and camels while others rained firebombs from rooftops in what appeared to be an orchestrated assault against protesters calling for an end to his near-30-year-rule. 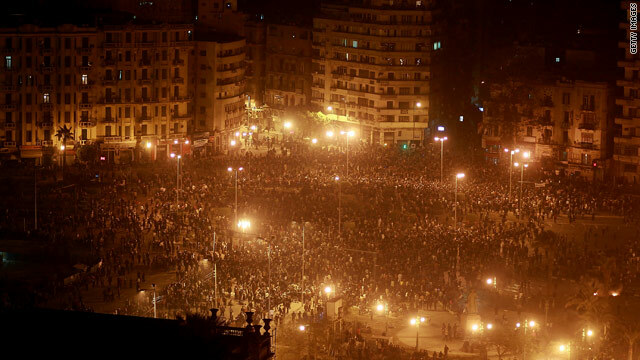 Anti-government demonstrators, after first trying to respond peacefully, fought back with rocks and Molotov cocktails as battles broke out around Tahrir Square. Doctors set up a makeshift clinic in a mosque near the square to help the more than 640 injured. Egypt’s health ministry says three people were killed in Wednesday’s clashes. Commodities traders have warned they are seeing the first signs of panic buying from states concerned about the political implications of rising prices for staple crops. However, the tactic risks simply further pushing up prices, analysts have warned, pushing a spiral of food inflation. 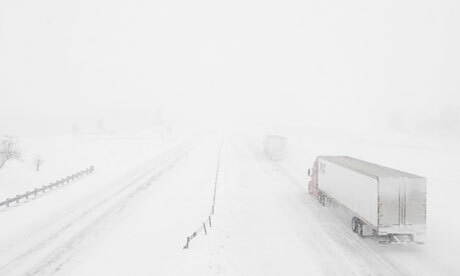 A huge winter storm, described as the worst in decades, has brought much of America’s heartland to standstill, closing airports, main roads, schools, colleges and government officies. The streets of Dallas, Oklahoma City and Tulsa were deserted, and more snow and freezing temperatures are forecast. Chicago is expecting 60cm (2ft) of snow, Indianapolis 2.5cm of ice. BEIJING: China will likely raise interest rates again within the month, the New York Times reported on Wednesday, citing a forecast of economists and bankers with knowledge of the thinking of Chinese policymakers. The Hong Kong-datelined story did not identify its sources, citing the sensitivity of the information. It also cited the economists and bankers as saying China was unlikely to let the yuan currency appreciate faster anytime soon as a way to fight inflation. Analysts polled by Reuters saw two more rate rises by the end of the first half. The median forecast of economists polled by Reuters is for inflation to reach its fastest in more than two years at an annual pace of 5.3 percent for January. NASA Issues 2012 Warning and Possible End of The World as we know it. I had a POST on this about 2 weeks ago that goes in-depth on this issue. Hopefully it will become more mainstream now. In light of recent news, the following information is paramount. On July 14, 2010 we learned that our sun is passing through an interstellar energy cloud which excites/energizes the sun. NASA, along with The National Academy of Science and other world renowned scientist are so concerned about this up and coming solar maximum in late 2012, that way back in March 10, 2006 NASA issued a solar storm warning (in writing) for 2012. What NASA omitted in their 2006 solar storm warning is what prompted NASA in the first place to issue a 2012 solar storm warning four years in advance? Then in 2010, NASA again warns the general population of a pending solar storm, telling the population to get ready for a once in a lifetime solar storm. Despite that news agencies and websites like this one are beginning to cover this developing story, no high government official has yet to stick his or her neck out to make an official announcement about the catastrophic implications as to allow the global population to begin preparing. Back in 1987 Dr. Robin Cook wrote the medical thriller “Outbreak.” The best-selling novel focused on a team of brilliant medical researchers desperately racing against time to stop a deadly virus from spreading across the United States and potentially killing millions. Once again fiction becomes reality as England faces its own potentially deadly outbreak with the looming possibility that a superbug from India could bring mass fatalities and spread like wildfire across an unprotected population. According to the British Health Protection Agency (HPA), a virulent super-bacteria called NDM-1 has invaded the island nation from the Indian sub-continent and Pakistan. Concerned health professionals have found the bacteria cropping up in hospitals across the country. Bacteriologists are now burning the midnight oil in a desperate attempt to get a handle on a disease that has the ability to kill thousands. U.S. grain prices should stay unrelentingly high this year, according to a Reuters poll, the latest sign that the era of cheap food has come to an end. U.S. corn, soybeans and wheat prices — which surged by as much has 50 percent last year and hit their highest levels since mid-2008 — will dip by at most 5 percent by the end of 2011, according to the poll of 16 analysts. The forecasts suggest no quick relief for nations bedeviled by record high food costs that have stoked civil unrest. It means any extreme weather event in a grains-producing part of the world could send prices soaring further. The expectations may also strengthen importers’ resolve to build bigger inventories after a year in which stocks of corn and soybeans in the United States — the world’s top exporter — dwindled to their lowest level in decades.